Melian loses her hair and flees as Kurgan, Pactius, Shaydu and others face Chomper. Shaydu's Photo Album: Click this link to look at some screenshots Shay took while adventuring. The album will be updated when I have time! At its core, it's an issue of diversity, rewardability, and challenge. Ensure that your final Subclass selection is the emphasis, emphasizing Archetypes less. (One example of this one is "Necromancers don't throw rocks just because they used to be Summoners.") Add new spell lines that truly illustrate subclasses, and alter the spell lines that made classes feel more generic. * More rewarding, satisfying spell upgrade paths. Gaining spells on levelling up was too much of a crapshoot. In the pre-upgrade system, spells were growing along two axes: The ranking of the spell and the level of the spell. There were far too many situations where you would level, get a new ability, and it wouldn't matter because you already had something better. So much for the big reward of levelling. * More satisfying item rewards. An item fails to feel like a reward when you need a spreadsheet to determine if it's an upgrade for you. Choices and tradeoffs are good, but only if they're recognizable by a human being without resorting to a calculator. Items growing along one axis is plenty. The former system of items growing along two axes made the game feel much less rewarding, since it was much more confusing in the end. At the high end, people could indeed make themselves invulnerable due to too many, too generous skill modifying buffs, but that wasn't the main problem here. As a result of the previous system, us having to make every creature red to be a challenge to a group isn't what we wanted for the game. /con needs to have some realistic meaning, moreso than "red…and everything else." This is why most of the combat system changes themselves targetted "you vs a yellow or harder," and why, by the time we're done, you should be hearing a good many classes saying that they're noticing no difference when soloing the things they've soloed in the past, since the majority of people weren't soloing things far past their level, while groups were frequently able to play vs opponents extremely far past their level, sometimes even becoming invulnerable to them. The idea is that there should be different targets for different strengths and formations of groups. Fighting orange and red creatures needs to be a Very Hard Thing, not the standard, and that system needs to make sense all the way through all of the /con's. 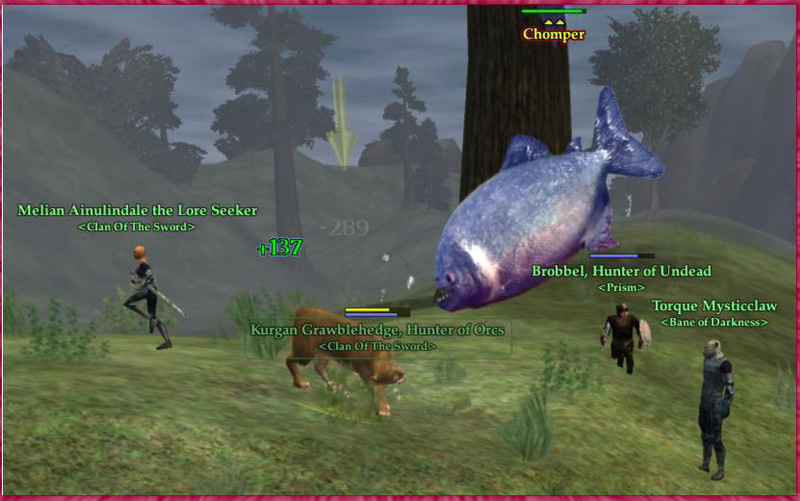 In the process of accomplishing these goals as a unified whole, we've had to touch every spell in the game, both PC and NPC, as well as the data that defines what PCs and NPCs are, and what the baseline of "combat" means in EQ2. While some PC classes are experiencing lower numbers in terms of heals and damage, the part that isn't noticed quite as readily is that in most cases NPC numbers have been altered in a similar manner as well. They just can’t post on the boards about it.